This year again, I’ve been selected as a speaker for the SQL Konferenz in Darmstadt. This is my second time at this great conference, last year I had the opportunity to present about doing Continuous Integration with SSDT and TFS and it was a great experience too. I had to skip the speaker’s dinner (and the many JägerMeisters), I hope I will be able to attend this year. The first day is preconference day delivered by Dejan Sarka (t|b), Davide Mauri (t|b) and Matt Masson (t|b). And the second day is filled with great sessions. 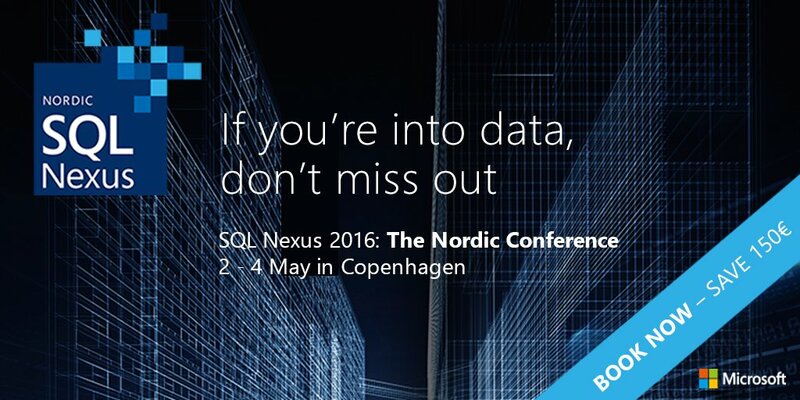 Both Matt and Davide are also presenting preconferences at another great event of the spring : SQLNexus in Copenhagen.